No one expects to discover rubber in their yoghurt! But in the latest food contamination incident to hit the headlines, that’s exactly what’s happened to some consumers of Yeo Valley yoghurts. The good news is, Yeo Valley and the supermarkets they supplied are doing what they can to reduce risks from this mistake, including recalling the products, and are working with the Food Standards Authority (FSA) to make sure it doesn’t happen again. If you are a small business in the food industry, then that is the lesson to be learnt from this. Yeo Valley is known for producing organic yoghurt but also produces yoghurt for major supermarkets under their own brand. Like most products these days, the yoghurts’ ingredients are diverse and not all produced directly by Yeo Valley – that is why food safety can be complicated and requires vigilance, even when you know that all of your manufacturing process are faultless. Yeo Valley discovered a piece of rubber in a fruit conserve supplied by a third party. They use that conserve in many of their yoghurts produced for the supermarkets. The risk of contamination of a particular yoghurt is low, and Dr Lisa Ackerley, managing director of Hygiene Audit Systems, an independent food safety consultancy, says that you should not worry if you may have eaten one of these yoghurts – the principal risk is in choking. However, if you have consumed one, it is likely that any rubber that might have been lurking within it will pass out of your body without causing any harm. Food – its preparation, creation, storage, transport and sale – is an area that is quite heavily regulated by law in the interests of consumer protection. So if you are involved in the food industry, what should you be doing? A good start is to take a look at the FSA’s website. A particularly useful part of the site is their “Food incidents: advice for businesses”. As that page says, all businesses should take reasonable precautions to ensure their products are safe. Two specific actions stand out: use trusted suppliers and get help from the local authority. The page also includes advice about what to do if a food incident happens in your business. The first rule is to inform your local authority or port health authority as well as the FSA if there is a reason to believe that a product is not compliant with requirements, and if it is unsafe it should be withdrawn or recalled. Another useful page is their news updates on their home-page on product recalls: if you have third party suppliers, it’s prudent to keep an eye on this, although your suppliers should of course notify you as soon as they spot a problem. And of course, take a look at the free materials and guidance on our website. Your quick guide to inspections can be downloaded here for free. Alternatively, you may wish to join elXtr for access to a more extensive suite of health and safety supporting materials, including a template for a risk assessment. Finally, if you need assistance, especially if you’re worried about something that’s happened, don’t hesitate to ask. It’s what we’re here for. Five UK supermarkets have been warned to take thousands of pots of yogurt off their shelves amid concerns they may contain pieces of rubber. 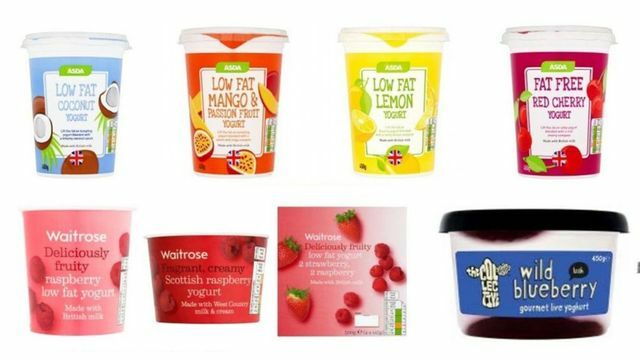 The yogurts, supplied by Yeo Valley but sold under own-brand labels, pose a possible health risk and should not be eaten, the Food Standards Agency said. The products are sold at Asda, Co-operative, Sainsbury's, Tesco and Waitrose.